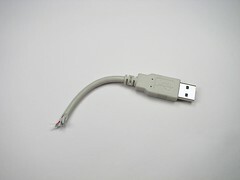 It looks like a sawed-off USB cable. But, this clever project is actually a 1GB USB thumb drive. These kinds of projects aren’t up my alley, as it were, but the cool results of this one has me considering it.